All Money Good Records presents Loso Corleone’s new music video for his latest single, “Want Ya Life”. Loso and his Atlanta native producer, Swif follow up their street series from “BrickFair The Official Mixtape”, which was released in 2016. Continuing to feed the fans in late May, Loso premiered his first single for the year, “ Shine” also giving visuals. The Next single “In Motion” is released with visuals as well and Loso counts up his money around the city. About mid-July, Loso and Swif team up again and drop “Want Ya Life”. The duo bring their songs to life with visuals from director, JSD Graphix. 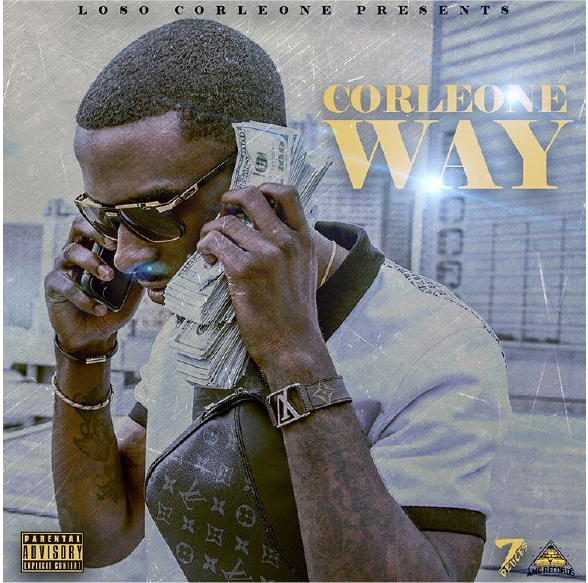 Working tirelessly Loso and his producer Swif is gearing up for the release of a new Mixtape called, “Corleone Way”. Click on the links below to watch all of Loso Corleone’s recent videos. Refresh your ears and take a listen to Loso Corleone’s latest mixtape “BrickFair The Official Mixtape”.